Law firms provide essential legal services to a wide variety of clients, and, consequently, they need comprehensive IT capabilities and a reliable network to support their demanding caseloads and corresponding data. A skilled, reliable IT Support company can help your law firm greatly in reaching your business objectives, but what are the main credentials and IT service offerings your company should look for and expect from a potential partner? This blog post will summarize the services and capabilities you should look for in an IT Support company. Since law firms use a variety of software applications and systems designed specifically for their activities, your company should look to partner with an IT company experienced in supporting law firms and their relevant software. 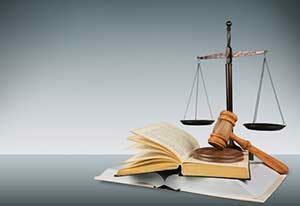 An important factor to research is if they already have a respectable roster of satisfied law firms as clients. Before hiring your IT Support company, make sure to inquire about their expertise with popular law firm applications your firm might use such as: PracticePanther, Clio, Bill4Time, Firm Central, LexRex, MyCase, PCLaw, ESILAW, LexisNexis, etc. Development and follow-through of a complete IT security plan based on the number of users and amount of employees authorized to access sensitive data. Regularly updated anti-malware, antivirus applications, email and web filters, and periodic upgrades as necessary. Attention to Wi-Fi security by establishing Guest Wi-Fi access with a separate password that changes daily. Written security policy and extensive training for employees on responsible user behavior including password protocol, online behavior, and recommended steps to avoid ransomware, identity theft, and other cyber threats. Attorneys spend much of their time visiting clients, doing research, or in court or other locations outside of the home office. As a result, an IT Support provider will need to guarantee that your attorneys and associated staff can easily access their case file information and other data from their mobile devices no matter where they are located. Using the cloud makes this possible and convenient. However, it is recommended that you work with an experienced IT Support provider to better understand your overall IT needs and, consequently, which of the many cloud options available will work best to meet them. When deciding upon your IT partner, it is important that they also have expertise and experience in dealing with the special requirements of your firm’s diverse clients. For example, if your company has a large number of healthcare clients, it is vital that your IT Support provider be knowledgeable and experienced in dealing with HIPAA requirements. If your firm specializes in serving firms in the financial industry, it makes sense to look for an IT partner with expertise in maintaining FINRA requirements and so on down the line. In short, data backup, disaster recovery, and business continuity solutions are all part of a comprehensive, interrelated system to minimize data loss, maximize productivity, and ensure uptime in the event of a cyberattack, disaster, or any other situation that negatively impacts normal business operations. These services are especially crucial for law firms as they depend on having continuous access to their clients’ data no matter what manmade or natural events may occur. 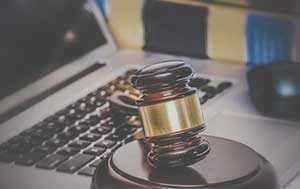 With the surge of cloud computing and the ever growing amount of data used by law firms, it is becoming increasingly complicated for businesses to secure private data, yet it is of vital importance for them to protect this data. These critical IT recovery services can also be viewed as the final piece of protection in your cybersecurity defenses. If all your other levels of security are breached and your firm’s data is stolen or compromised, these measures will still protect your company by allowing you to quickly resume business as normal with no lost data and a minimum of downtime. With the implementation of these measures by a trusted IT Support provider, you will be able to quickly restore your normal business operations using backed-up data to minimize the impact on your firm of any negative events. Much like an insurance policy, a comprehensive and effective backup, disaster recovery, and business continuity solution is an investment that keeps a business secure when trouble occurs. Using this information as a reference tool will help your law firm choose an IT Support provider that will work best for you to achieve your company’s business objectives. Note well that there is no substitute for the experience gained by working successfully with law firms as clients. Most importantly, take the time to research and select a proven IT Support company, like Network Depot, to be your trusted IT partner.